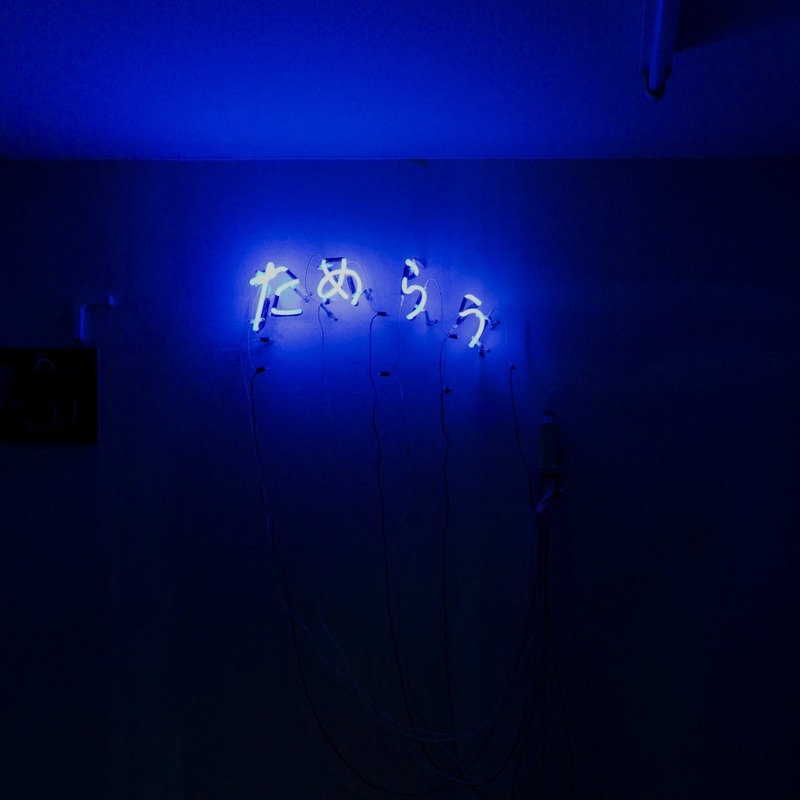 In this work, Niwa ordered to have a neon sign manufactured based on his hand written word “tamerau” (English: hesitate). Life is continuously full of decisions, but to struggle and hesitate with those decisions is termed as “tamerau” in Japanese. This word is used in very broad situations ranging from our daily lives to political decisions. Within the sense of “tamerau” is contained one’s various insecurities, thoughts towards others, fears, social norms, and common senses, and it is the flip side of our perspective of the world. We human beings are all fundamentally alone and cannot completely discard our desires to strive mutual understanding through any kind of linguistic, physical, and magical communication. The artist creates a sign that can be read as “tamerau” using a commercial neon tube, and by bringing up this anonymous word, which holds no commercial purpose and is unclear of the intention as a message, he evokes in the viewer the recollection of daily human relations that is hidden behind this word.